Need to edit, remove, or duplicate services in your proposal? Here are some essential functions that will help you manage the services in your proposal. 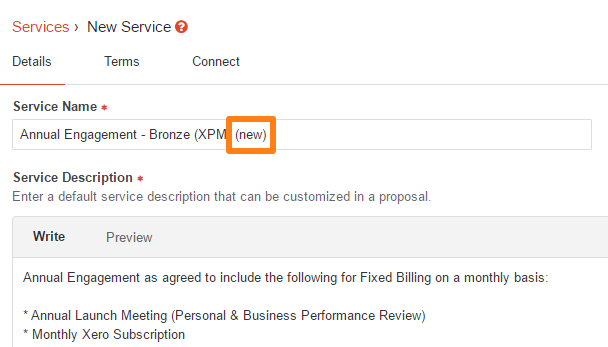 Note: For help with creating a new service, see our article on Setting up Services. To edit existing services, go to the Services menu under Library. From here, select the service you want to edit by clicking on the service. This will open a page where you can edit every field in the service. Don't forget to click the Save Service button when you are finished editing. If you have many similar services, you may want to use the 'duplicate service' tool which will duplicate whichever service you are currently in. Just click the Duplicate button on the upper-right corner. This will copy the service and will appear as if creating a new one. Save the service once you're done editing. To delete a service, simply open the service and click the Delete button. You can also delete multiple services on the Service page. Click the tick boxes of the services that you wish to delete. 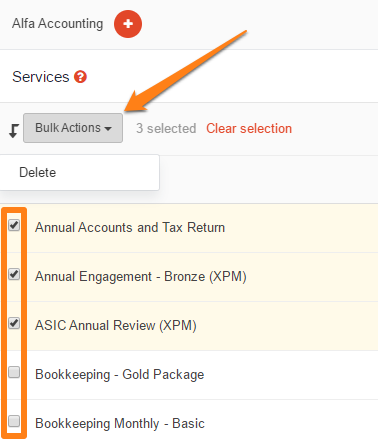 Then click the Bulk Actions button and Delete.